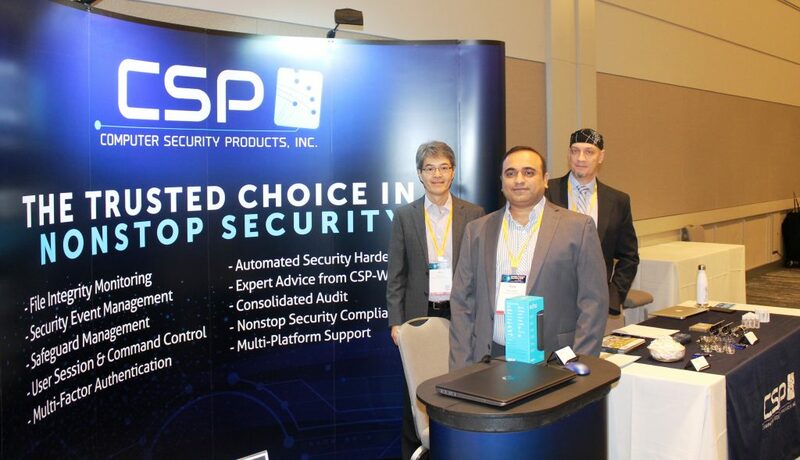 CSP was proud to be a Diamond Sponsor of the 2018 NonStop Technical Boot Camp, which took place at the Hyatt Regency, San Francisco Airport Hotel from November 12-14. To kick-off the show, CSP hosted the Connect 10th Anniversary Party & Welcome Reception at the Grand Peninsula Foyer on Sunday, November 11th. This event was a great success and attendees were able to mingle and catch-up while enjoying drinks and hors d’oeuvres prepared specially for this occasion. The party was followed by the CSP Beer Bust at the Grand Peninsula Ballroom, where the celebrations continued until late evening. This year also marked CSP’s 30th anniversary! We are proud to be a part of the NonStop community and would like to thank everyone who attended these events and helped celebrate with us. Technical Boot Camp is always an opportunity to showcase some of the latest innovations developed for NonStop systems, and CSP was on hand to announce the release of an exciting new solution for supporting Multi-Factor Authentication on NonStop systems, CSP Authenticator+. Multi-factor authentication has increasingly become a critical compliance requirement for NonStop and CSP Authenticator+ will help secure your critical applications and systems. Our presentation, “Multi-Factor Authentication on NonStop”, given by Marketing Manager, Henry Fonseca, took place in the Grand Peninsula Ballroom and received excellent reviews. We had a great turnout and would like to thank all those who joined us. It’s safe to say that TBC 2018 was one of the best editions in recent memory, and CSP is always happy to support this event. These are exciting times for the NonStop platform and there are many great opportunities ahead. We look forward to seeing you in 2019!